Want to live greener? 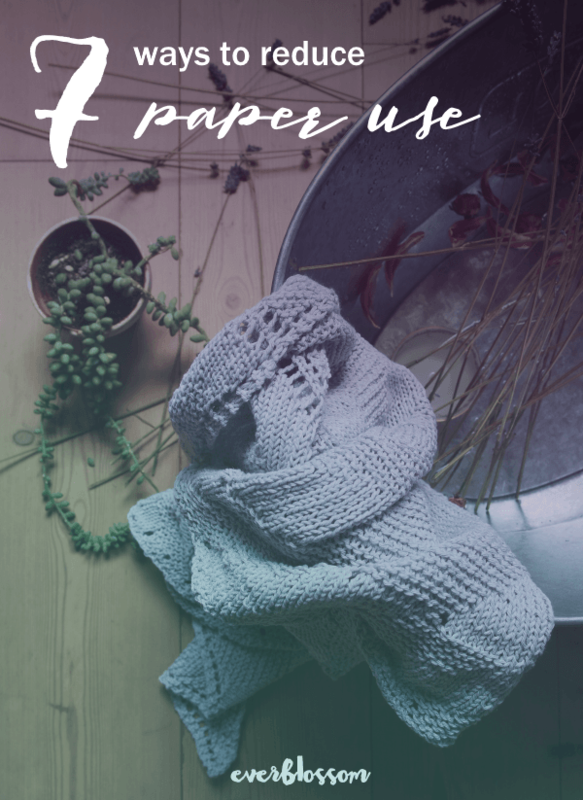 Reduce paper use as much as you can. Here are 7 simple ways to do so. Stop paper bills in the mail by signing up for online billing with all of your utility providers. Many magazines are now publishing in ebook format – opt to get the digital versions instead. Invest in some nice cleaning cloths (or cut up some old sheets!) and use them instead of buying paper towels. Cloth napkins are great too, and they are easy to make. Use Evernote – instead of printing everything I want to have accessible, I've just been copying and pasting them into Evernote and then bringing it up on my phone. Easy! And when you do print, use both sides of the paper. If you have kids, you know how quickly coloring sheets can add up. Consider getting a chalk board or dry-erase board so they can still color to their hearts' content while using a lot less paper.